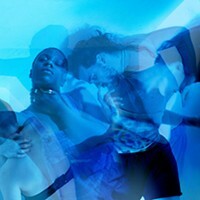 As Pittsburgh’s new dance season gets ready to rev up, so too does my coverage of the area’s scene. Welcome to the first edition of my brand new, bi-monthly column devoted to giving City Paper readers pertinent news, views, and insight into artists that help shape dance in the 'Burgh and beyond. This has been a game-changing summer for Bodiography’s Maria Caruso and Pittsburgh duo slowdanger. Both traveled to perform at prestigious international dance events. 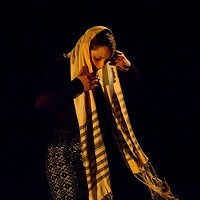 Caruso world-premiered her new, 50-minute contemporary dance solo Metamorphosis at the Karmiel Dance Festival, Israel’s largest dance celebration. Keeping up a solo career, helming Bodiography and its Center for Movement, and chairing the Performing Arts Department at La Roche College, Caruso says the invitation to perform at Karmiel (a sister city of Pittsburgh) came unexpectedly. Honored, but given only two months to prepare, Caruso said she went all-in on creating the new solo show. She feels it's her best work. Caruso describes Metamorphosis as an emotional journey through life’s many transitions. Partially based on her own experiences (but broadened to be more universal), the solo and her character in it was inspired by struggles and triumphs of many people she has come into contact with in her career. In it, she used a series of costume changes into differently-colored dresses as a metaphor for turning points in her character’s journey. Having viewed video excerpts of Caruso’s tour-de-force performance, it’s a work that Pittsburgh audiences definitely need to experience. Caruso also taught a master’s class and was on a panel judging a youth dance and choreography competition. She describes the festival, attended by around 250,000, as a surreal and life-changing experience that will help prepare for a planned Bodiography European tour next year. 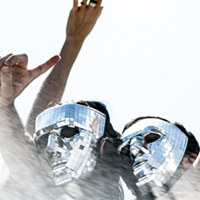 Anna Thompson and Taylor Knight (slowdanger) took their considerable dance and musical talents to Canada in June for Springboard Danse Montréal. Part-festival, part-choreographic and performance intensive, slowdanger was chosen as a part of Springboard’s Emerging Choreographers Project. A residency at Springboard was highlighted by two performances. 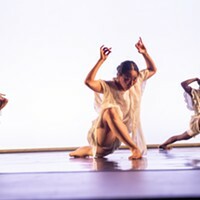 The first, at Place Des Arts on June 15, featured slowdanger performing its avant-garde work “memory 6” to an original score. The second, “empathy machine,” at Usine C on June 29, involved a cast of 16 invitees in an improvisation-based work themed on topics of memory and intimacy; Thompson and Knight teamed to direct, score, and perform.